D&D Motors offers new tires for sale near Traveler’s Rest, SC. If your Ford vehicle requires new tires or maintenance, we can help get you back on the road safely and quickly. Our Ford dealership offers the most popular and trusted tires close to Traveler’s Rest, SC. 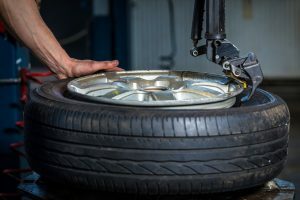 Expert technicians make sure that your new tires are the perfect match to your vehicle and driving needs, whether you have a car, truck or SUV. Visit our service center and check out our large selection of new tires near Traveler’s Rest, SC.